1. Spread Mission� tortilla Rounds chips over microwave-safe platter or baking sheet. Spread 1 teaspoon of refried beans on each chip. 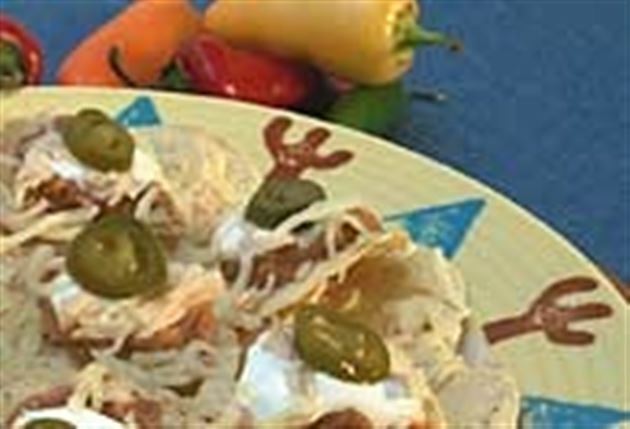 Top with sour cream, chicken, cheese and jalape�os. 2. Heat on high for 1-2 minutes or until cheese is melted. Enjoy this delicious nachos Mexican recipe!